Panel Beater. A pun name short for random thoughts on last month's pull list and the comic that was best of the bunch. I always relate the rivalry between Canada and America back to that between us Kiwi's and the country the world thinks we are usually a part of anyway, Australia. As the White House burns and the skies above Ottawa full with retaliatory missiles in the first five pages of this series debut, I'm pretty glad this is one 'vision' that can't translate down under. With Tommy and Amber left orphaned by the above onslaught, writer Brian K Vaughan wakes us up in Yellowknife twelve years later. As Amber walks alone into Canada's frozen wilderness, she stumbles across towering American robotic terrors and the sole Canadian resistance movement who not only offer her rescue, but a whole new path. Not only is it refreshing to see a futuristic America as the villain, translating the french words of Les Lepage via Google quickly becomes the series' 'Zatanna spell' activity. Zee isn't the only DC tie-in either, as the issue takes an in-plot stab at the Man of Steel - one that just may change your perspective. While Martian Manhunter hasn't hit the ground running as hard as I thought it would fellow recent DC debut, Midnighter is punching his way right through the goddamn planet. Midnighter has walked away from Apollo, feeling he was better than he ever deserved, he knew "how this fight would end". Pouring himself into app dating (more for therapy than anything serious), he hunts the stolen arsenal from the armoury of the God Garden - the place that turned him into the limitless weapon that he is. More than just a hardhitting bone-breaker, Midnighter is a flawed man evolving. Unabashedly firm in who he is, both as a vigilante and as a gay man, he does not shirk in the light of either as he chases the one-of-a-kind weapons now surfacing in a black market near you. is so perfectly 'Superman' it belongs on the wall of every super-fan. The bar that now forms his 'home' of sorts, suits the character more so than any Stormwatch satellite base ever did. The scenes change in tempo and geographic location swiftly, helping to miss quiet bits, yet craftily bringing real pace to the sole Wildstorm based title of the new DCU. 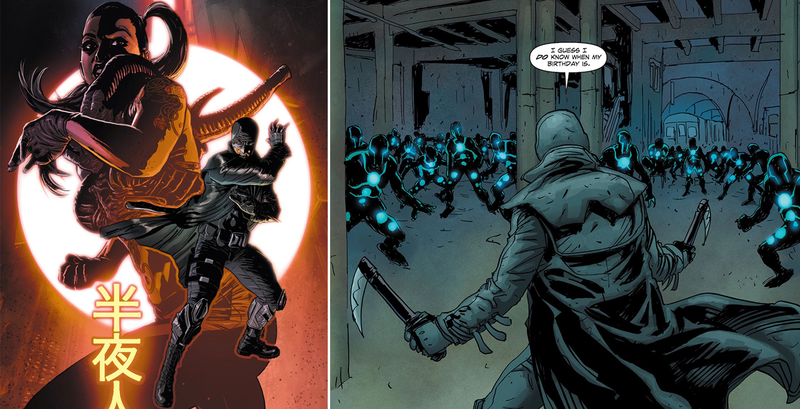 Yes, Midnighter really gives you your $2.99 worth. While Alec Morgan's art perfectly suits the grit of #2 as ACO's did #1, writer Steve Orlando is where the book soars. The one-liners and 'Midnighter 'tude' of old are in plentiful supply, but so are his smarts, heart and opinions. THE TRUTH OF IT Missing crossovers like The Death of Superman, I quickly strapped myself in for the new DC super-storyline Truth. Sadly, the four titles involved just don't share enough threads to actually seem connected. 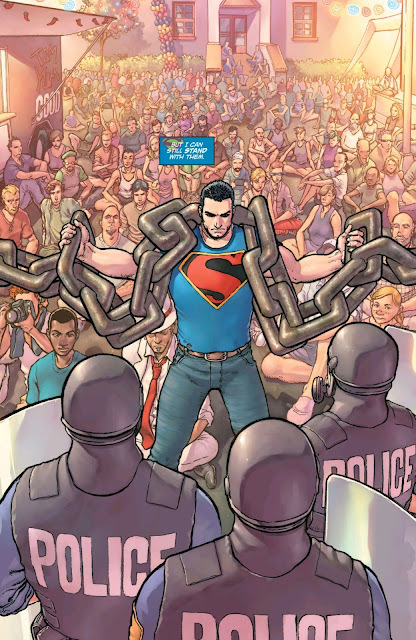 Despite Doug Mahnke's amazing art, I've quickly cut back to just Action Comics and Superman, where most of the theme's heavy lifting is being done. And that's the truth. Well now I'm off to buy BKV. Geez Dan, you're bad for my pocketbook. But in the best of ways.